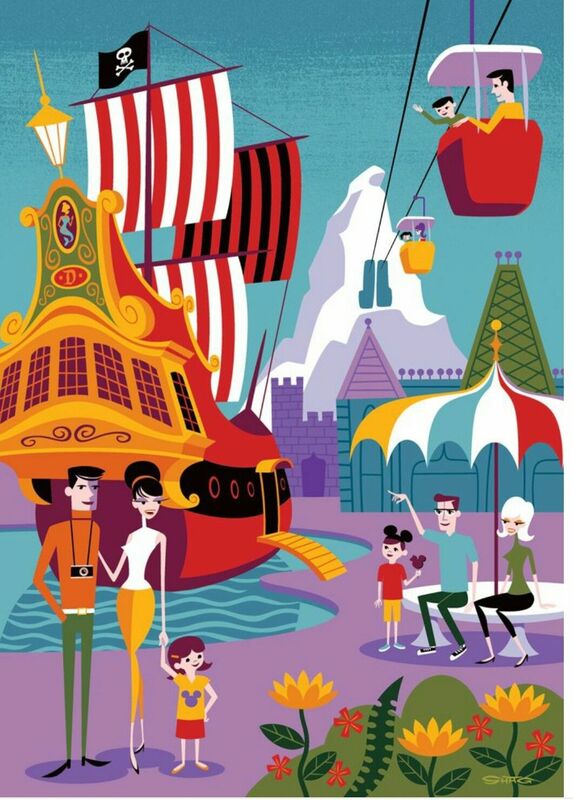 The WonderGround Gallery in the Downtown Disney District of Disneyland in Anaheim, California held an artist signing event with Josh Agle from 7pm to 9pm on Saturday, June 7th 2014. 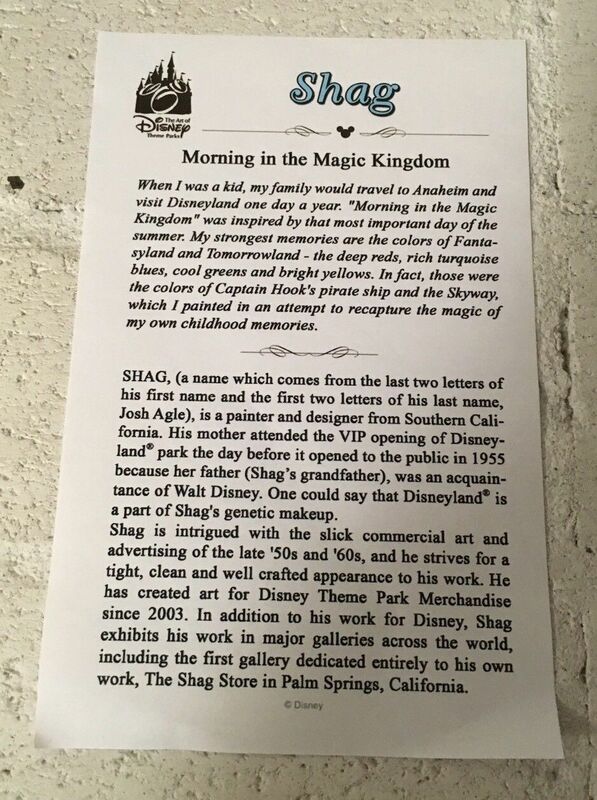 The event debuted Shag’s commision, the painting Morning in the Magic Kingdom. 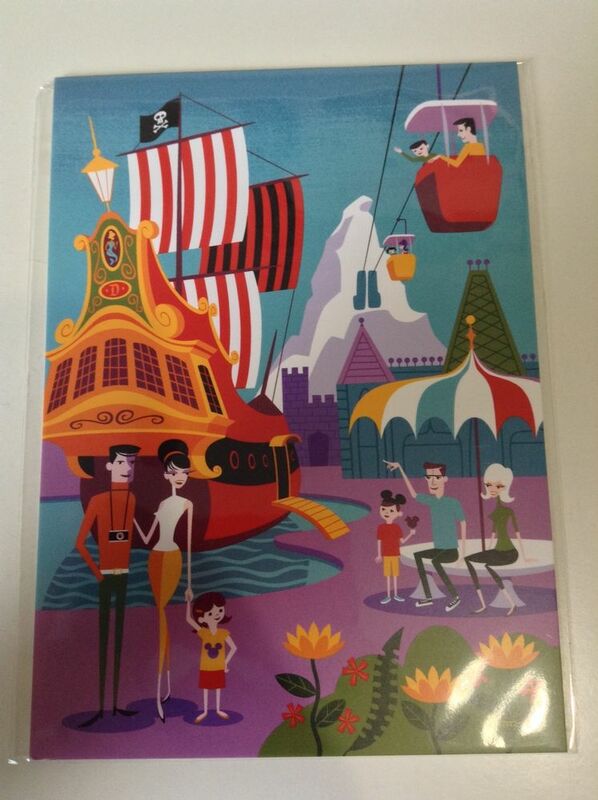 The text on the card supplied with the prints reads “When I was a kid, my family would travel to Anaheim and visit Disneyland one day a year. 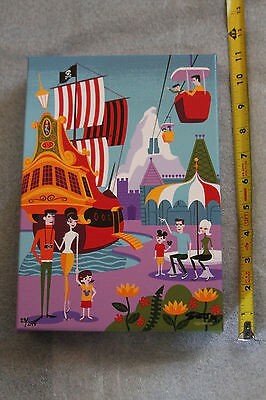 “Morning in the Magic Kingdom” was inspired by that most important day of summer. 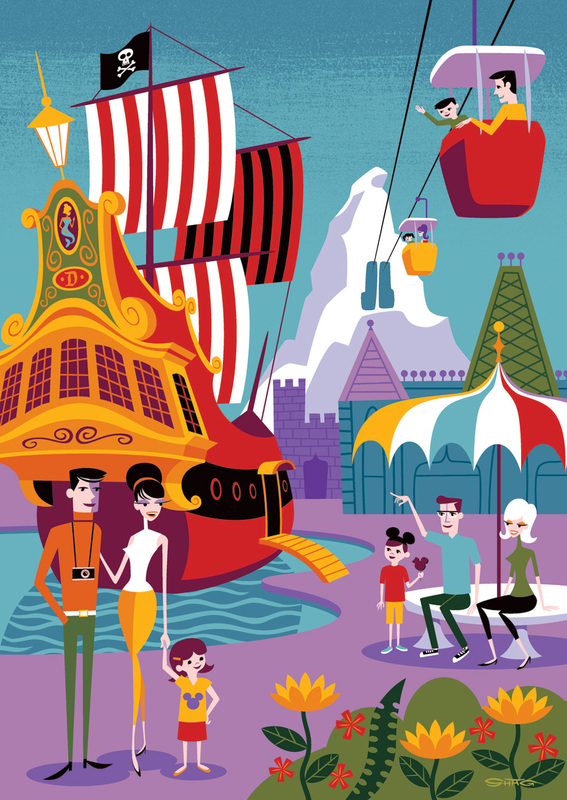 My strongest memories are the colors of Fantasyland and Tomorrowland – the deep reds, rich turquoise blues, cool greens, and bright yellows. 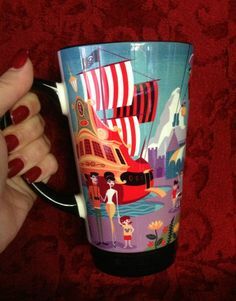 In fact, those were the colors of Captain Hook’s pirate ship and the Skyway, which I painted in an attempt to recapture the magic of my own childhood memories“. 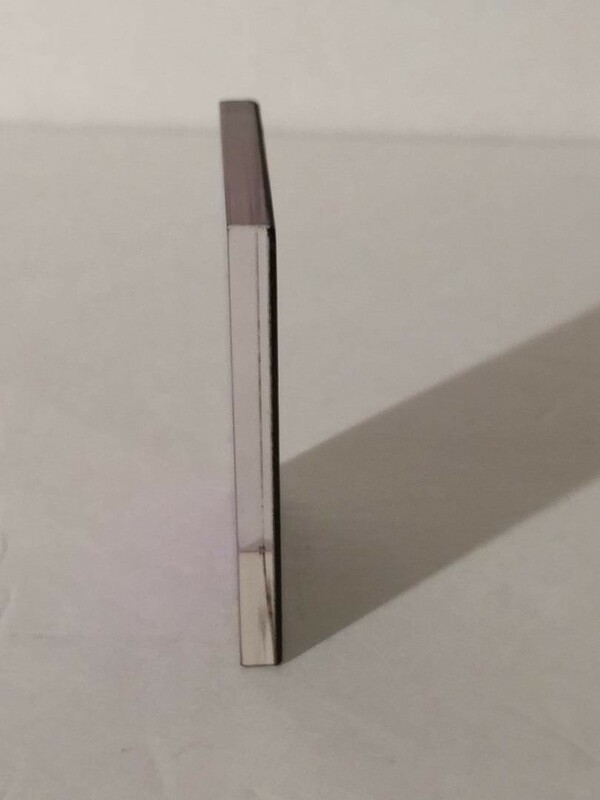 Gallery Wrapped Giclée: a 17” by 24” print on canvas, signed and numbered, limited to 195 pieces plus 5 artist proofs, which retailed for $295 USD. 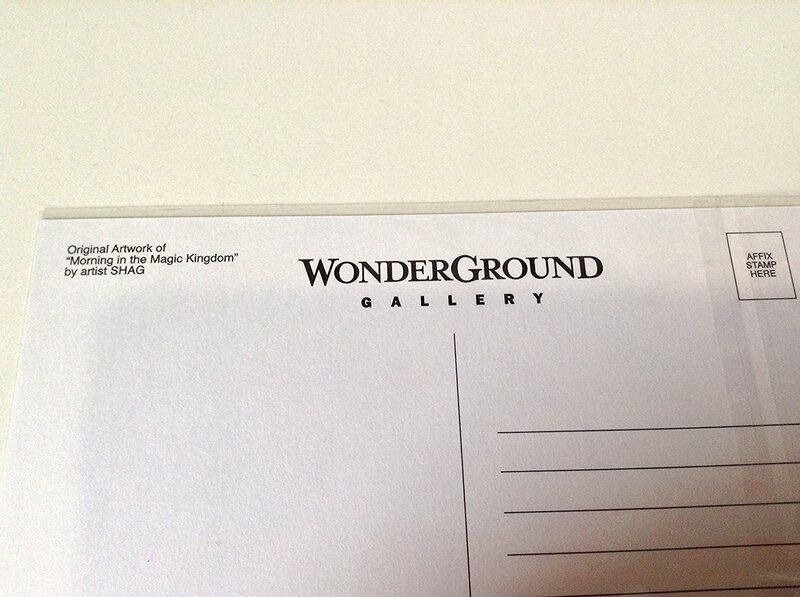 Collector Wrapped Giclée: a 7” by 9” print on canvas, signed and numbered, limited to 295 pieces plus 5 artist proofs, which retailed for $65 USD. 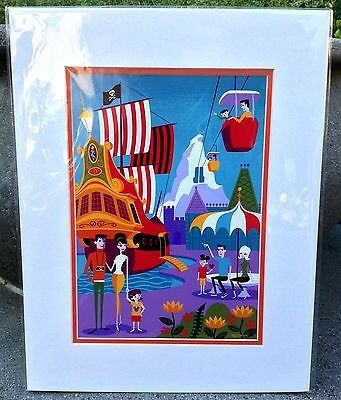 Deluxe Double-Matted Print: a 14” by 18” print on paper produced in an open edition, which retailed for $39.95 USD. 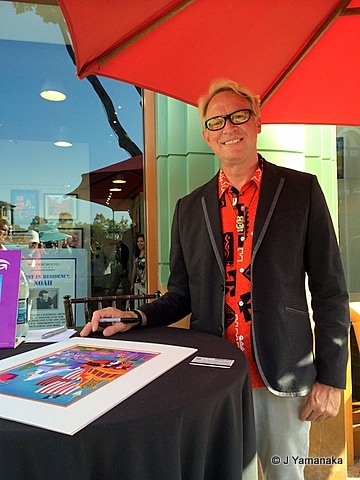 Guests were allowed to have two items they purchased at the event signed by Josh Agle with tickets reserving their place in the line. 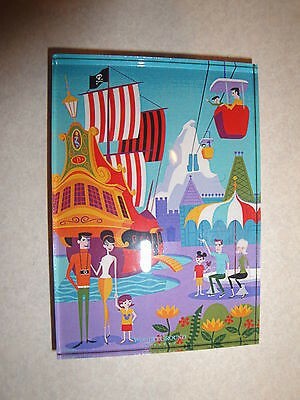 The Morning in the Magic Kingdom image was also used to produce a postcard, mug, and magnet.